These are the awards I just won at CLAW's 2000 Spring Semi-Annual Awards Ceremony! I want to thank everyone for these awards - I am very surprised! 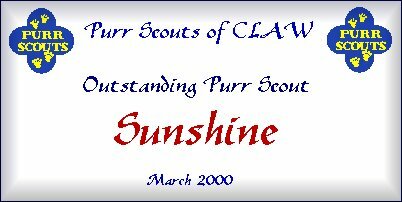 Visit my old CLAW page page too! Click to return to my CLAW page page. CLAW graphics by other designers.